You probably have watched at least one TED Talk video on YouTube or on the TED Talks website. If you have never heard about TED, it is a non-profit organization devoted to spreading ideas. TED began in 1984 as a conference where Technology, Entertainment and Design (get it?) converged, and a whole spectrum of topics — from science to business to global issues. Meanwhile, independently run TEDx events help share ideas in communities around the world. TEDx brings the spirit of TED’s mission of ideas worth spreading to local communities around the globe. Click here to learn more about TEDx. 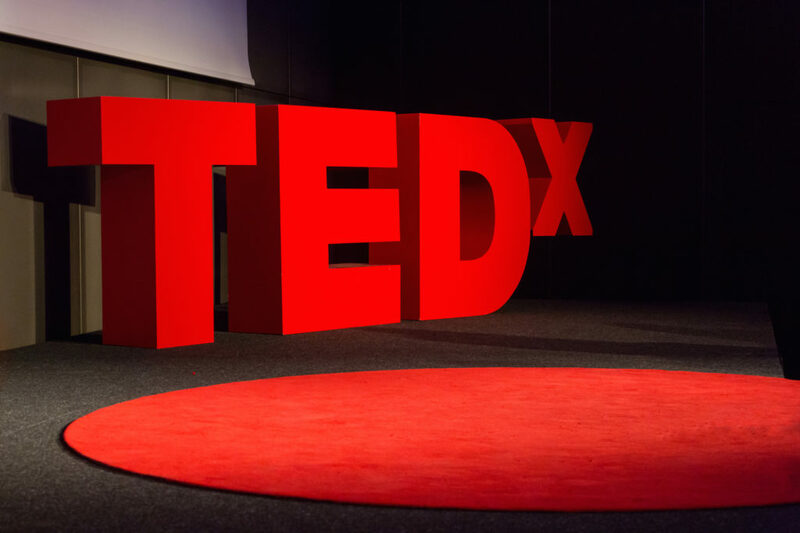 We’ve collected some of the more recent (and not so old but still very relevant) TEDx Talks featuring ideas about co-working, the independent worker, remote working, and the future of workspaces for your viewing pleasure. Nigel Oseland is a workplace strategist, environmental psychologist, and behavioral researcher. Nigel believes the key to an organization’s success is creativity and innovation and will be sharing how we can build workspaces optimized for different backgrounds, skill sets, personality types, generations, and cultures. Nati Sang is an entrepreneur, inventor, venture capitalist, educator and LEGO Certified Facilitator, and has taken the robes as a Buddhist monk twice. He created Makerspace Thailand as a Community Innovation Lab providing the tools, knowledge, and opportunity necessary for anyone to be an innovator. Is going into the office everyday a productive way to work? Anne Cantelo thinks not and the need that the agile revolution is underway, which will not just help productivity but the environment, communities, and our health and wellbeing. As we move toward a new world of work driven by the independent worker and artificial intelligence, we will all need to adapt to this new reality to stay relevant in the future workplace. Head of LinkedIn Nordics, Lisa Gunnarsson shares three ways in which we can all learn from generation Z, which soon will be competing with us in the new gig economy. Yash Biyani is an engineer by brain but an entrepreneur by heart. He is the Founder of Sector7 Spaces, a co-working space designed to promote sharing of ideas between new and upcoming start-ups and young entrepreneurs. James Bernardo is the Programme Director at Garage Society, a collaborative entrepreneurial community with locations in Hong Kong & Thailand. He focuses on building community events and training for the HK startup ecosystem as part of the Garage Academy platform. Sean Fedorko is a founding member of Radius CoWork, a community of startups, freelancers, and remote employees in a professional coworking space. As point person for a coworking community, Sean advocates for cooperative work environments, where diverse people and professions can connect, assist, and enjoy one another. In this talk, Stephanie Brisson talks about why coworking spaces are needed in the current freelancing economy, and what kind of working environment can best bring the community together. Stephanie is a community manager in Berlin, Germany who aims to build better coworking spaces for freelancers. Chris Cooley is a builder of co-working spaces. He shares with us what it takes to create one of these communities, why it pertains to all of us, and the notion of flexible sustainability. Kavi Guppta is a writer on a mission to transform how the world thinks about work. Kavi has travelled tirelessly across Asia, Europe, Australia-Pacific, and North America to observe and advise companies, organizations, and individuals on how to prepare for a dynamic global talent marketplace. Pants optional. Wouldn’t that be nice for your work day? Remote working can make that possible, and many companies are starting to change their culture to offer those options. Justin Jones is currently employed as a Consulting Architect at VMware. His previous work history includes positions at Accenture, Lockheed Martin, E­mu Systems, Creative Labs, and Keen Energy Services. Justin frequently presents at technical conferences, including VMworld, Puppet Labs conferences, RADIO, and TechSummit. He is an active member of the Fuse Coworking space in Richland, WA. Jeremy Neuner discusses as we moved from an industrial to an informational economy what we do for work has gone through a revolution, but where and how we work has hardly changed at all. Jeremy proposes that if we want a better society we have to develop a better way to work. That better way is already starting to happen. What is it? Previous PostPrevious Improved Collaboration & Communication in an Open Office Just a Myth?